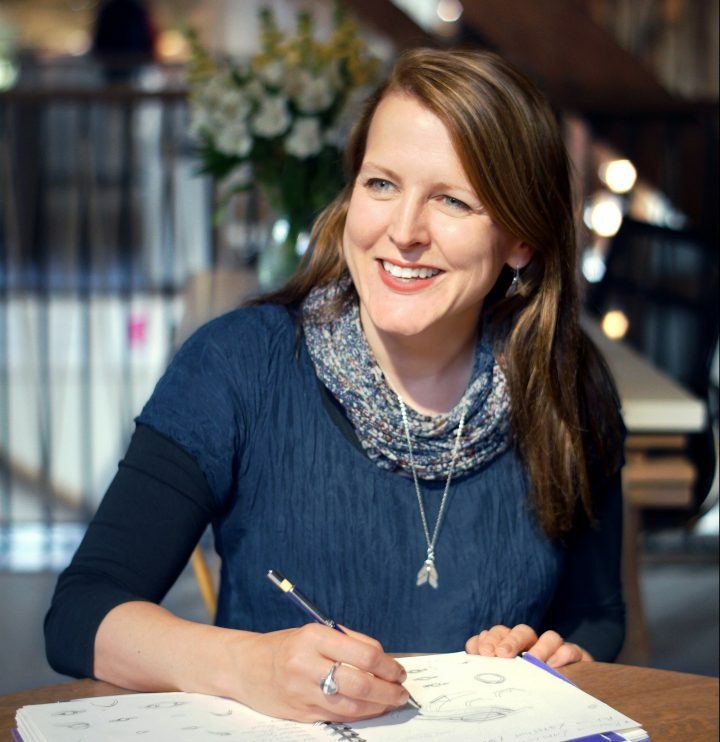 Let me introduce the talented and ethical bespoke jewellery designer Harriet Kelsall. 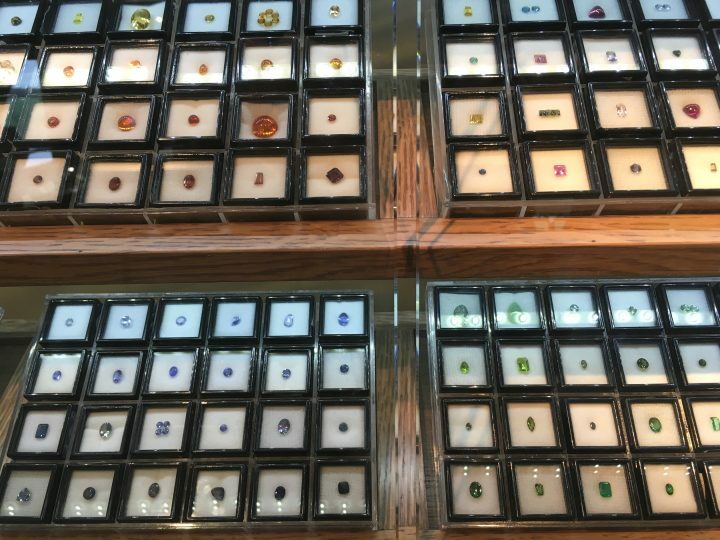 Have you wandered down Green Street in Cambridge and gazed wistfully in the window of Harriet Kelsall Bespoke Jewellery with sparkling diamonds winking back at you? I have on many occasions, making careful notes for my Christmas list. 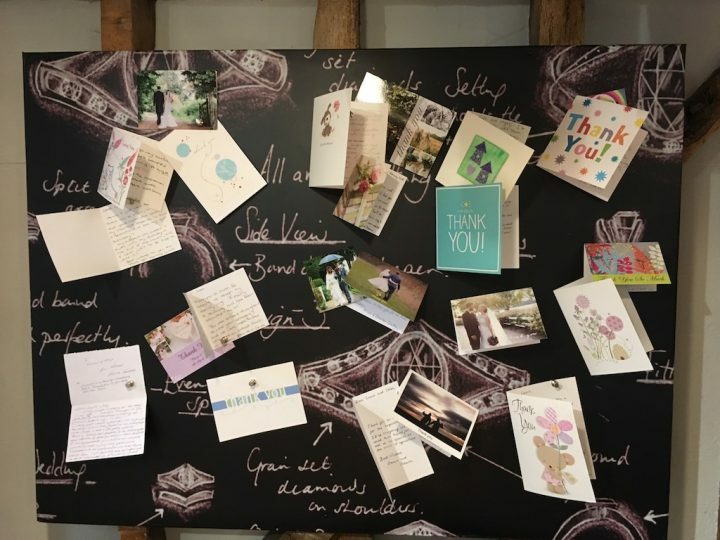 Muddy Herts had the pleasure of meeting jewellery designer and founder, Harriet, in her studio across the border in Hertfordshire, a Tudor barn conversion in Halls Green, near Weston. Harriet started her business in 1998 with £400. 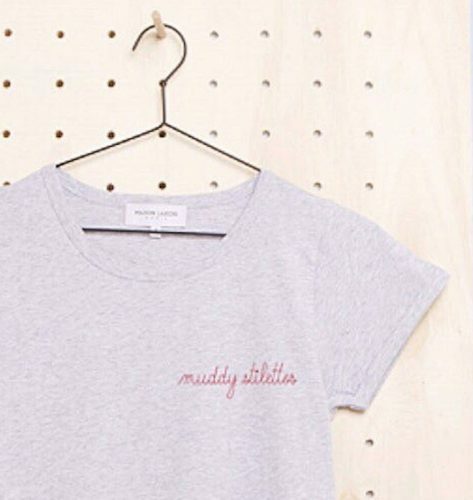 She now has a team of 30 that includes 14 designers and 6 makers. 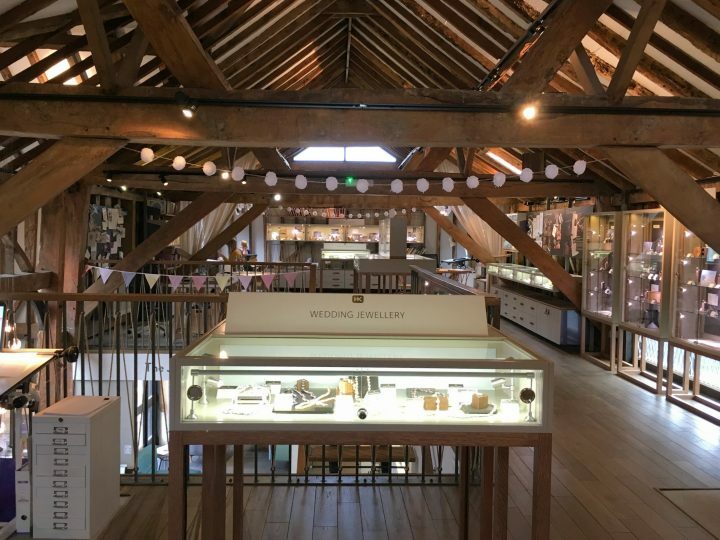 The Hertfordshire Jewellery Centre has a design studio, coffee shop, showroom and workshop. And in Cambridge, on Green Street, there is another showroom and design studio. 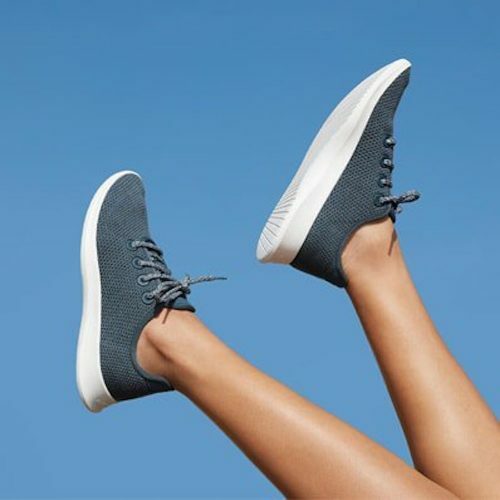 Ethical to her core, Harriet is an ambassador for corporate social responsibility and sustainable business practices. Her jewellery business was one of the first 20 companies worldwide to hold a Fairtrade gold licence. We meet on International Day of Happiness. Harriet, are you in the happiness business? People sometimes cry when they come here! With happiness – perhaps when they come to pick up a ring or piece of jewellery that we’ve made for them. And we’ve had people get down on one knee in our studios. So yes, you could say that we’re in the business of making people happy. But I think that we’re also in the business of storytelling. People often come to us with an idea or perhaps with something that they’ve inherited and maybe they don’t like the ring but they love the fact that it was their mum’s ring. We once had a geologist who had mined a piece of stone that was very special to him, so he wanted us to design a ring inspired by an ammonite. Another couple wanted their engagement ring design to be inspired by an octopus after they spotted one on their first diving holiday together. We’re always listening and helping people to tell their stories through jewellery design. It’s really straightforward. You can walk in or make an appointment or have an online consultation. 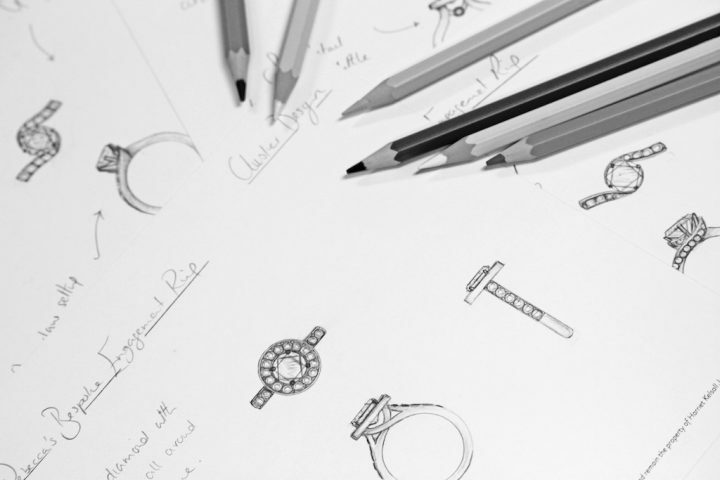 You might say ‘I’ve got this pendant and I want to design a ring to match’ or ‘Please will you design something that will really suit me inspired by my life’ and our expert designers will refine your ideas with hand drawn sketches. You can choose the material, whether it’s recycled platinum, palladium, white gold or Fairtrade gold. You can look at the gemstones we have in stock or we can source something more unusual for you. 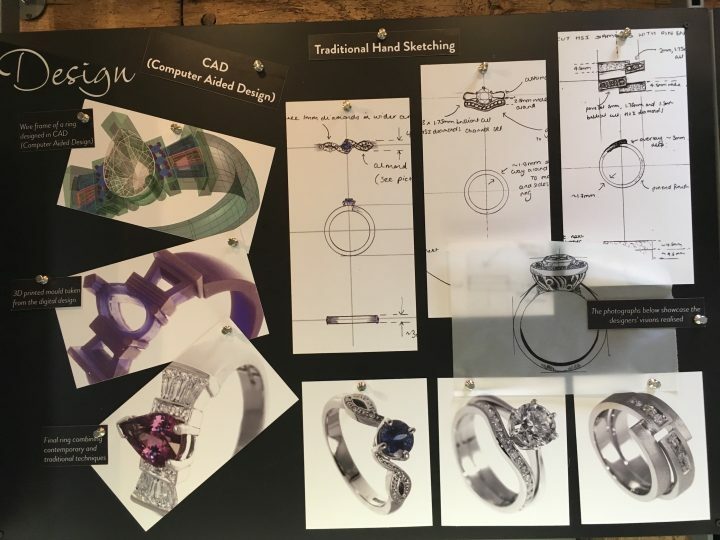 Your designer will then discuss the design with our team of goldsmiths and together they’ll decide exactly how your piece of jewellery should be made. We do everything on site apart from casting. Once the jewellery is finished you can come and collect it or we’ll post it out to you. The only thing we ask is that people keep us in touch with how their story unfolds. Did you do a degree in jewellery design? I read industrial design at Brunel. Then I went into the computer industry and I learned how to write software. I’m dyslexic and it’s easy for dyslexic people to do computer programming. I worked my way up to being the Engineering Manager for Tektronix UK. But as well as doing my day job, in the evenings and at weekends I was designing jewellery for friends. And how did you learn to design jewellery? It was my dad. He was a GP in St Albans but he was also a very keen hobby jeweller. He was so good that he made wedding rings for my teachers. He’d come home in the evening and after supper he’d sit at his jewellery bench. He went to Oundle School where you could learn plumbing and metalsmithing alongside the academic stuff. He’d forge the gold from scratch and he had a polishing wheel in the attic. He was amazing. As a young child I’d be playing with toys on the floor and a gemstone might fall and he’d say ‘That’s a diamond, and that is a cubic zircon’. That’s how I started to learn. You started your business in 1998. 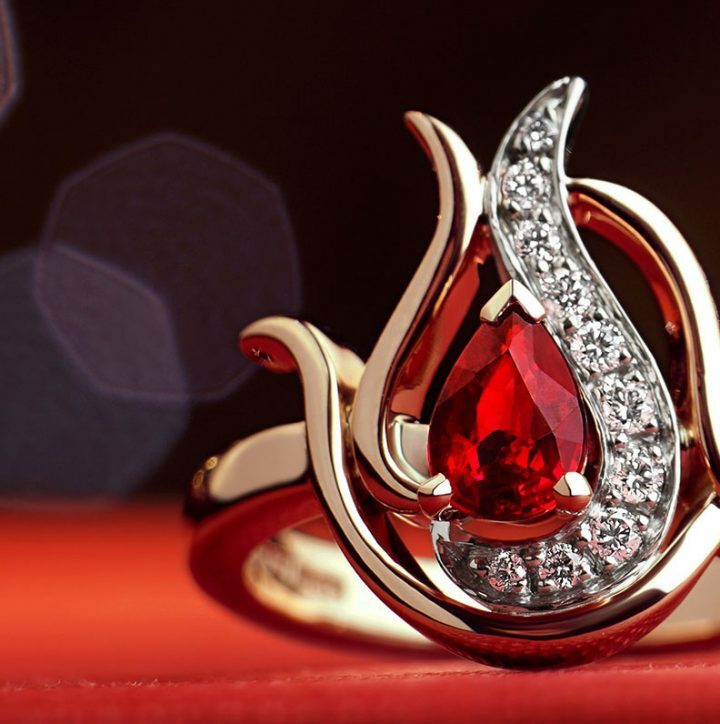 How did you make the leap from IT into jewellery? I remember the day I made the decision. I had a list of orders from 33 people and I looked down the list and realised that they were all friends of friends and that I didn’t actually know them. I remember looking down the list and thinking that I could actually make this work. I was also getting married at the time and moving from Muswell Hill to Weston. I started my business with £400 and I spent £280 on leaflets to promote a range of chains with charms that I’d made. You could construct elements of the design yourself. It didn’t work. I realised that I really just wanted to design and make fully bespoke pieces. I hear that you were an early adopter of the internet? From 1996 I had a web page with a very basic introduction to me and my jewellery. It was when it was still dial up and I was only contacted by IT professionals or doctors because at the time they were the only people using the internet. But then someone in Scotland called saying that she needed an emergency tiara and we managed to design and make it for her in a couple of days and in time for her wedding. I was designing it and showing her the designs online but she had to go to her brother’s friend’s house in order to use the internet! And I remember thinking that this internet thing could really catch on. You’re an ambassador for corporate social responsibility, including the use of Fairtrade gold? I started asking questions early on about where the gold I was using came from. As a business we were chosen as one of the first twenty jewellers worldwide to launch certified Fairtrade gold in 2011. But if you talk about a sustainable business it’s not just the supply chain. I feel that everything in business should be about balance and how you are in your community. We do talks in schools and try to host events where we can invite local people. It’s also about the feeling everyone has at work. It’s important that people enjoy what they’re doing every day. But ethics is very subjective. Some companies use Fairtrade gold and will only use Canadian diamonds because they are traceable. But then what happens to people mining diamonds in the developing world? We often find that we’re talking to customers in quite an intellectual way about these things. The diamonds that we’re now using come to us directly. 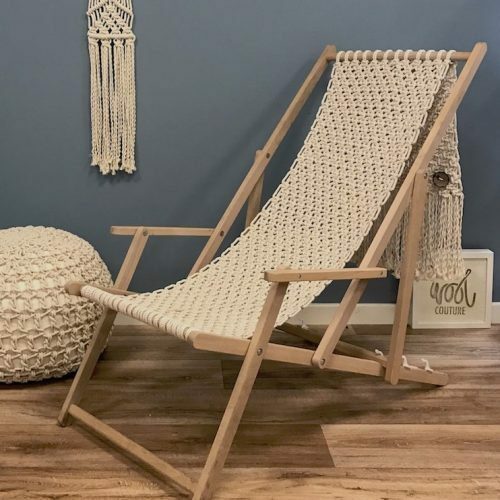 We now have a site holder and they hold the mine and cut the stone and I feel happy about what they are doing as they are using a lot of fair trade principles. We do clean sheet bespoke and we brought it to the high street. Before, you either had to have a lot of money or you had to go to a bloke with a bench. And people weren’t doing it because it’s actually quite hard. There are many jewellers now saying that they do bespoke but it’s more like a construction of parts. 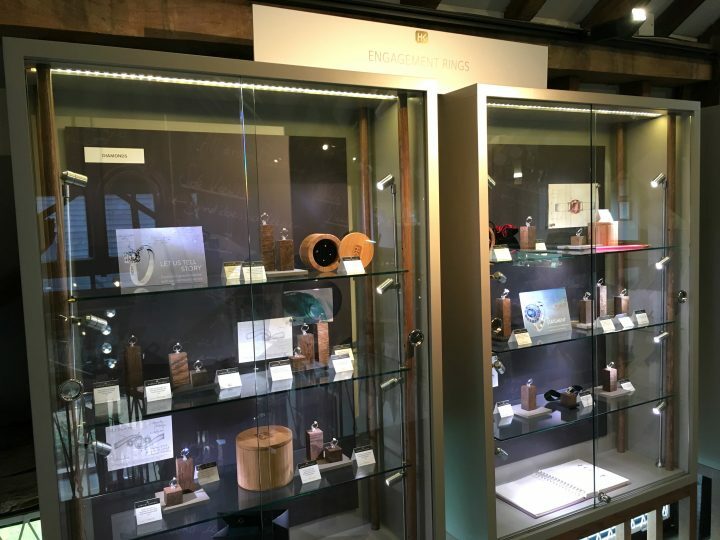 What we do is a very different model from a jewellery shop that designs and makes jewellery to go on display in a cabinet for people to simply come and buy. Over 90% of our jewellery is fully bespoke.